The first ECPGR Secale Working Group meeting was held in Jokioinen, Finland, in August 1982. The working group designated the Polish Gene Bank as a center of rye accessions storage. At the same time, the Polish Gene Bank became responsible for gathering rye passport data from other countries. Initial activities connected to building a Secale Database were carried out by Jerzy Serwiński and Jan Konopka in the Plant Breeding and Acclimatization Institute in 1984. They cooperated closely with ECPGR secretariat. In 1994, during a meeting in Prague called „Technical support to East European genebanks to improve access of privatized plant breeding to germplasm collections”, creating individual databases for each cereal was considered. 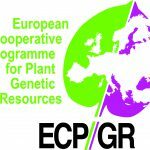 It was agreed that the European Secale Database was to be managed by the National Centre for Plant Genetic Resources: Polish Genebank. The European Secale Database contains information about the accessions stored in the european genebanks. For some of the accessions, there are also characterisation and evaluation data available. Creation of the European Secale Database was partly supported by the IPGRI project LOA 94/172 “Updating of European Secale Database”.